Good scale finesse, very good quality production. 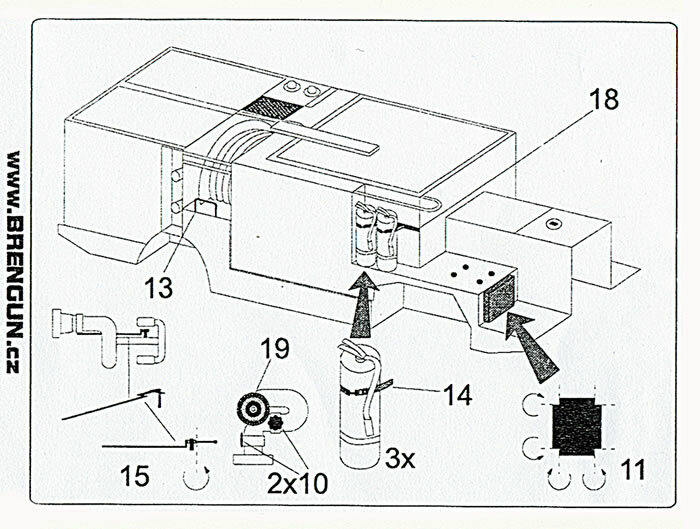 This is a great accessory kit from Brengun and it will be welcomed by those who want to add a little more detail to their Skunk Models fire engine kit. Brengun is a newcomer to the world of aftermarket multimedia accessories. Based in the Czech Republic they produce resin and etched brass etched kits in 1/144 scale as well as resin and etched brass accessories in 1/144, 1/72 and 1/48 scale. 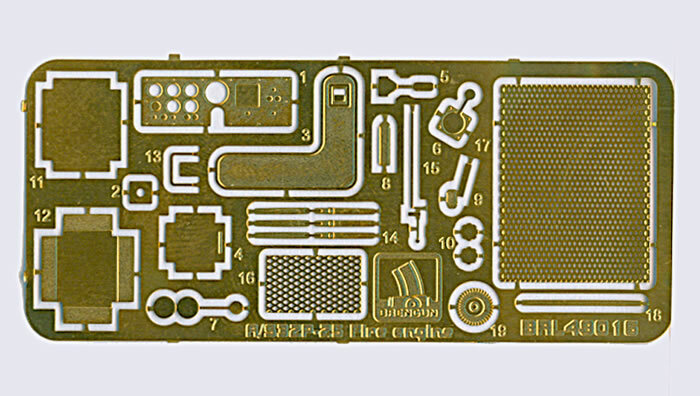 This brass etch set is designed to fit the recently released 1/48 scale Skunk Models USN carrier deck fire engine. The set comprises a single fret of etch brass that holds 19 parts as well as a small piece of clear plastic film that holds the instrument panel gauges, and a small instruction sheet. Some of the brass parts look like appetisers for the carpet monster and two of the larger ones will require some delicate folding. 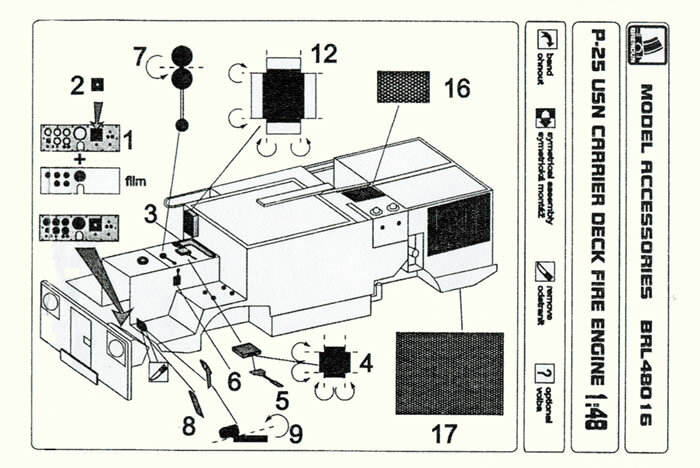 The instruction sheet is a small affair that shows black and white line drawings exploded-view construction sequence keyed to a legend that advises you bend, cement, and fold as required to complete the model. Packaging is via a cellophane envelope that is stapled to a stiff cardboard header.